The Grant Spira boilers are available in outputs of 5-18kW, 6-26kW and 9-36kW and come complete with adjacent pellet hopper and feed auger which supplies the boiler with fuel. There is also the option of increasing the heat output with a secondary boiler within the system to achieve 11-44kW, 12-52kW, 15-62kW and 18-72kW. This ability combined with the high condensing efficiencies achieved in this boiler makes the Spira unique option when considering a biomass boiler. The boiler is designed to be installed in damp free environments such as a garage or outhouse. Once started the boiler is fed by an auger which feeds pellets into the burner and ignition element. The system automatically modulates the feed of pellets to hit the set temperature and pushes the heat generated into the boiler’s primary heat exchanger. This heat energy is from the exchanger is then transferred to the radiators and other heating elements of the properties heating system. 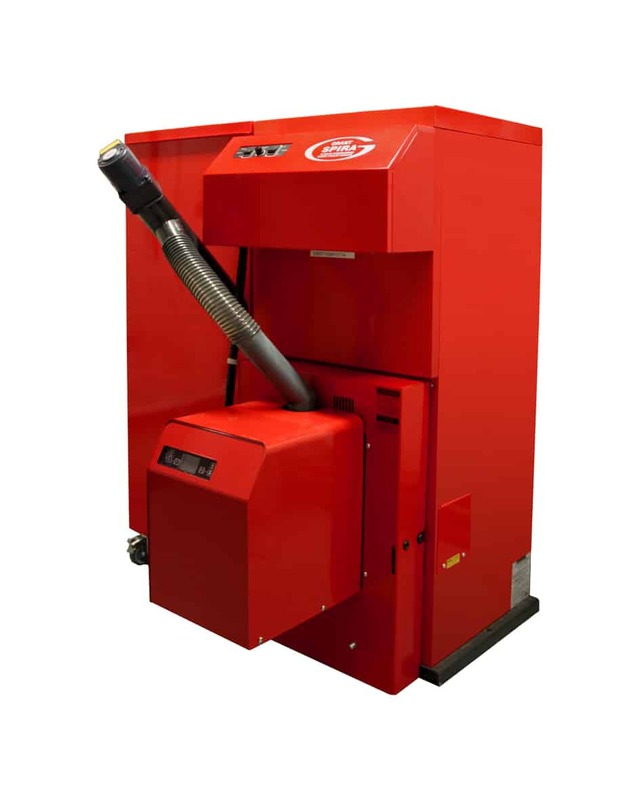 The Grant range of pellet boilers requires very little maintenance thanks to their automatic self-cleaning system for the burner and heat exchangers. By using a wood pellet with a low ash content the boiler maintenance can be further minimised as larger amounts of pellets can be burned before requiring emptying.